You’ve come to the right place for personal growth and career success. Continuing & Career Education (CCE) at Assumption College offers affordable and comprehensive career growth-focused, online certificates, associate and bachelor’s degrees to fit your busy schedule and your career goals! We understand how important the decision is for adult students to come back to college, and we are there to support you through every step of your journey. Your degree will be accredited, recognized, and respected. Regional accreditation is considered the highest form of accreditation given to institutions. Assumption College is recognized by NECHE, New England Commission of Higher Education, the regional accreditation agency for colleges and universities in the six New England states. You can accelerate your degree with the convenience of online learning. Assumption’s CCE program is designed for busy working adults. With accelerated 7.5 week terms, you move through your degree as quickly as you would like, either focusing on one class at a time, or accelerating your program by taking two courses per semester if you choose. Our online degree programs allow you to study anytime, anywhere, on multiple platforms, with the support you need. Tuition is affordable and high in value. 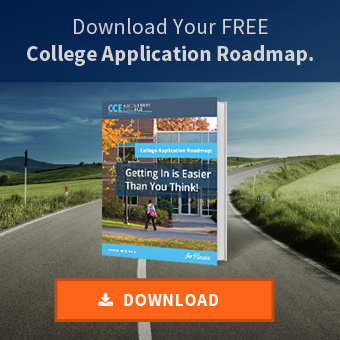 CCE offers lower costs than traditional online for-profit universities, and most students qualify for student loans and other forms of financial aid. For a private college with a low faculty to student ratio, this is a great value proposition. Individual attention. CCE offers small class sizes online, allowing students the ability to have constant communication with their instructors throughout the course. With the support you need, our high-touch faculty will guide you towards earning your degree!